All middle school through college girls are welcome! 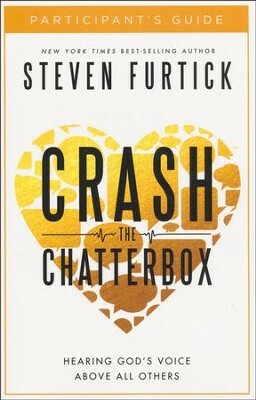 We are reading Pastor Steven Furtik's amazing book, Crash the Chatterbox. We'll have snacks and hot chocolate as we read and discuss how to hear from God. In Crash the Chatterbox, Pastor Steven Furtick focuses on four key areas in which negative thoughts are most debilitating: insecurity, fear, condemnation, and discouragement. He asks, "What great deeds are in danger of remaining undone in your life because of lies that were planted in your past or fears that are looming in your future?" With personal stories, inspiring examples, and practical strategies, Pastor Furtick will show you how to silence the lies and embrace the freeing affirmation of God. Learn how to live out God’s truth no matter what is going on in your life or thoughts. Learn how to crash the chatterbox and hear God’s voice above all others.